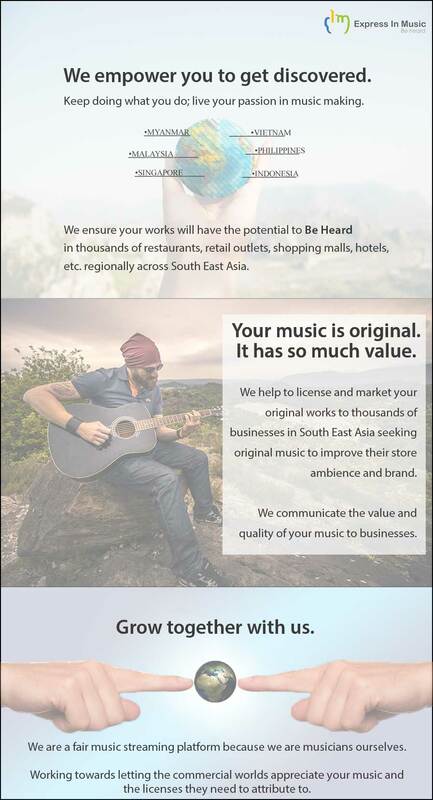 Looking for a place to get discovered? Submit your music and convert your musical talents to solid exposure and cash! 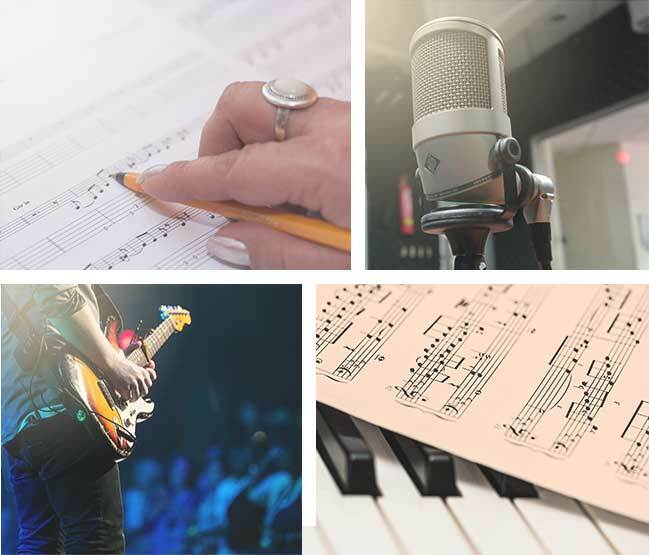 Express In Music (EIM) for musicians is a crowdsourcing platform aimed at discovering talents. In here, you will find hundreds of musical ads for advertisement, jingles and voiceovers. Once you find an ad that fits your abilities and expectations, join the competition! 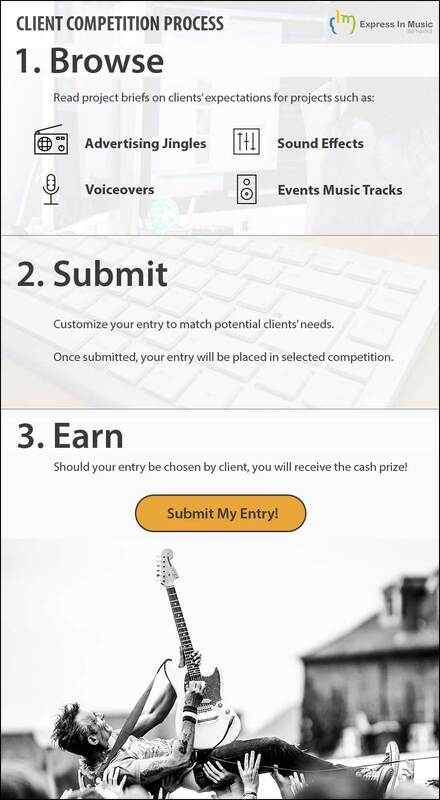 The winner will receive cash prizes, deals to distribute their music and earn royalties for EVERY play count! ► How does the competition work? 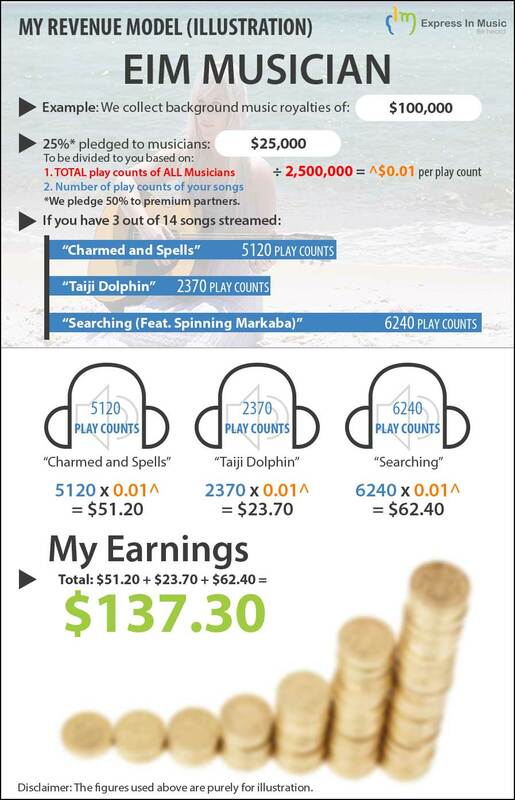 ► How are the royalties distributed?